I'm itching to get back in a Jeep. Probably the worst decision of my life was to trade mine in. Previously I had a '17 JKU Sport S. I haven't decided if I want to go with the TJ, JK, or JL platform, but the wife says I'm good to get a 2 door. But my biggest question is whether to get a Sport or Rubicon. I did some light to moderate wheeling with my old Jeep and it was capable enough...but lockers, sway bar disconnect, and the lower gears would have made things easier/less stressful/more fun. With that being said, I only wheeled once a month or so...so would the additional cost of the rubicon be worth it? 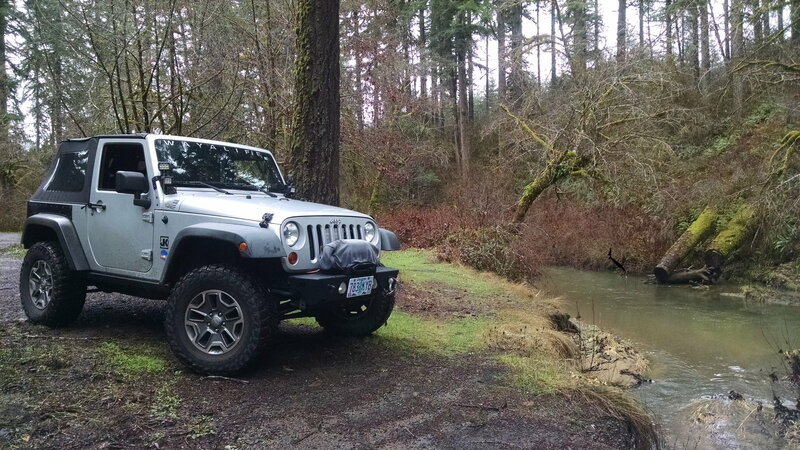 For the type of offroading it sounds like you did, a Rubicon would be nice. Although it might cost more, it will hold the higher value should you ever sell it, so the difference is really negligible in the long run. When you start getting in to aggressive off roading, that is the point it makes less sense cuz you pretty much end up rebuilding everything that comes on the rubicon outside of the TC (lockers end up getting replaced, gearing gets replaced, sway bars die), and that is when the extra cost makes no sense. Sellers remorse didn't take too long to set in! This is kind of a hard decision, one where you seem darned if you do and darned if you don't. I have similar off-roading styles as you and ended up getting a Sahara which comes with open diffs. To me when I did the research, the Rubicon seems to be more built towards those that tend to do rock crawling off roading which wasn't me and I'm speculating by your profile of being in Ohio, it may be a similar situation. The Rubi comes with a lower geared Transfer case and 3.73 or 4.10 (Optional) axle gears, so think slow crawl for off-road purposes. 4.10s really aren't that great of a gear for adding larger tires such as 35s or larger. 35s are the most common larger size tire most tend to go with. So to me, it really seems like the Rubi additions are more for rock crawling using stock size tires or 33s. Anything larger than 33s, and you will likely want to re-gear anyways even with 4.10s to maintain that low-end torque. The other thing you get with the Rubi is lockers which is much better for off roading than a open differential, but again lockers seem to have more uses for rock crawling and other slow crawl off-road situations. For myself, I do sand dunes, forest trails, and snow where I felt I would get minimal benefit from the included Rubi options for the price. What I feel is actually better for my uses is the higher geared T-Case for Snow/sand of the Sport/Sahara especially since getting up some speed/momentum in 4-Lo seems to be better for those off-road conditions where I felt the lower geared Rubi T-Case could actually be a slight detriment. Then in regards to snow, lockers aren't used very often where a LSD is much more beneficial in more circumstances in snow since they're always engaged and LSDs often can't be added to the Rubi axles. The downside of my plan is doing these actual mods are costly after the fact and it becomes a tougher pill to swallow if you hold off like I have. I really wish that there were some more options to chose from in regards to gears and traction device selections from the factory, but unfortunately there is not. So anyways those are my thoughts and some pro/con info. Maybe they'll help you better decide which is the better choice for you. Last edited by Rednroll; 01-13-2019 at 05:55 PM. You cannot get them both. Rednroll - I agree. I should have mentioned I plan to get a manual. Previously I had a manual Sport with 3.21 gears. I ran 35's and it wheeled fine, and it handled fine on road as well. Off road I really just think I want the lower transfer case gear to slow me down without stalling it out. I don't think I need the lockers. 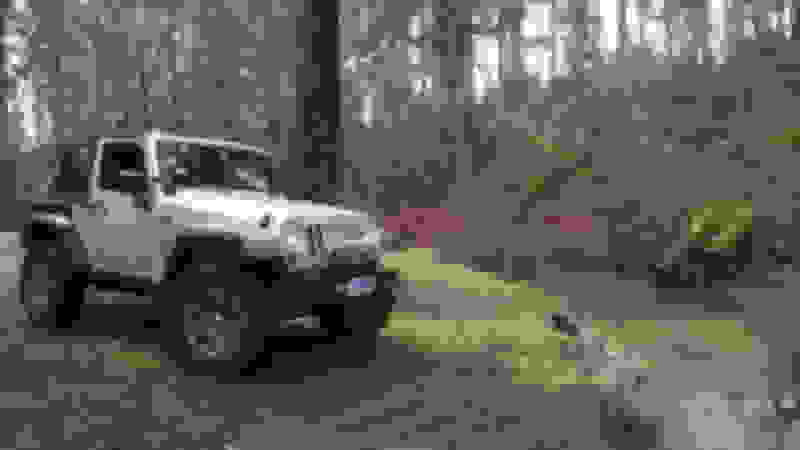 I think I'm going to search the internet for used unmodded 2 door rubicon priced reasonable(which will be the hardest part). If I don't find one by late spring, I'm going to look at the JL's. Ive built a base sport model (manual locks and windows) and added A/C and tow hitch and it comes to $30k. That seems ridiculous to me, but around here used rubicon's with 50k+ miles on them are in the $35k range. I found a 2012 Sport listed for what I think is a decent price. Prior to looking it over, I've got a question that hopefully you guys can help me answer...I look up the original build sheet and it states that it came factory with 16" wheels. However, the pictures clearly say they are 18" wheels...and the spare tire has a tire cover on it. So, no guarantee that it matches which brings me to my question: anyone recognize these wheels? They look kind of like Jeep wheels, kind of think they came off of a Sahara. Those are off of an earlier Sahara, correct. I'd be curious if they moved the TPMS over or just bolted those wheels on and traded it in. pretty good stuff including rock crawling. BTW Rubicons come with 4.10 gears. amount of fun wheeling and crawling more stuff. them the way you want. The hottest trend right now is find and build a LJ for the wheelbase. You can get cheap take off's all day long. I have Rubi's on mine. I wpuld stick with 17's before 18's. Get a Sport. I have a 2011 2 door running 295/70/17's with 3.73's and an auto. Mild lift. I am also over 150,000 miles. I was considering selling it and getting an LJ until I found the prices pretty high. TJ would be cool. I have found them on average of $8500 and up. Since the JL release I have seen a lot of JK's on the lots with tons of goodies on them. SO that would be an option too.